It’s hard when you are in love and you are constantly trying to validate your feelings for someone who won’t be definitive or specific with you about their feelings for you. When this happens, you question yourself and your worth because when you are in a relationship like this where the emotions and energy are one-sided, it is a constant roller coaster of ups and downs. People who are emotionally unavailable, narcissistic, and controlling in relationships are good at making the other person feel as though everything is on them. They take little accountability for their actions, emotions, and actions towards you. When you are stuck with this type of person, it can be tough to see the dysfunctionality of the relationship. 1.) You never have to fight for someone to love you or for them to tell you they love you. 2.) You don’t lack assurance when someone cares or loves you genuinely. It comes naturally and is shared openly by both people in a relationship. 3.) When you have to question your relationship constantly and it feels inconsistent or unsafe, this is an unhealthy relationship. I talk a lot about this in my book. You oftentimes subconsciously model your relationships based on what you see growing up. Or, it can be even tougher to know what a healthy relationship looks like if you haven’t seen healthy relationships in your life. And this is not your fault, because some circumstances are outside of your control. But, once you learn what constitutes a healthy relationship, you are fully capable of having one. 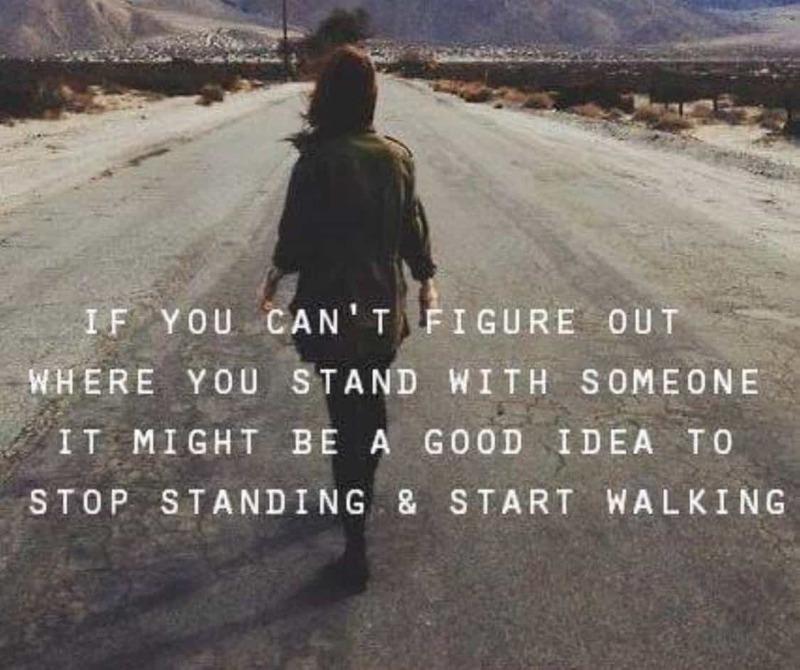 So when and if you are ever in a relationship with someone in which you are asking more questions versus getting answers about where you stand and how important you are in their lives, start walking and don’t look back! You deserve better! The first step to getting what you want is by not staying with someone who is not willing to be emotionally available to you. Don’t allow someone unworthy of your love to steal this experience from you.